Snarky Geeks Episode 112 - ... Oreo Orgasms! 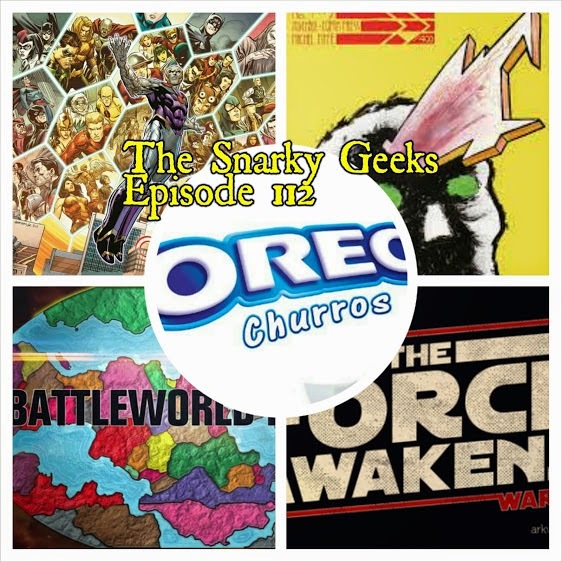 These two snarks discuss possible Suicide Squad movie castings, Star Wars: The Force Awakens, They gape and awe at Oreo Churros, Glen Larson, Marvel's BattleWord, DC's Convergence, COPRA by Michel Fiffe, and much more, Plus the Sorry-List!. ... You really have to listen to the whole show!